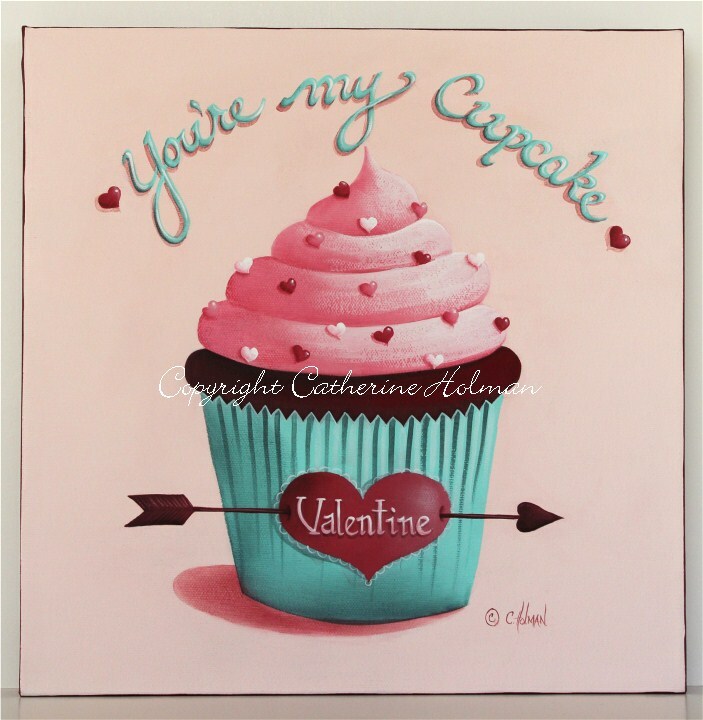 I've finally gotten back into the swing of things and finished a new Valentine cupcake painting. It's up for auction on eBay. Fluffy frosting is decorated with tiny hearts in various shades of pink on top of a decadent Red Velvet cupcake. An arrow pierces the Valentine heart label on this turqouise cupcake liner. The perfect calorie free gift for that special someone! A brown and pink dotted ribbon is wrapped around the edges of the canvas and ties in a bow at the top. Keep checking back because I'm having a Valentine painting giveaway soon! Very sweet and just in time for Valentine's Day! Love the aquas and the pinks you've chosen. Cathie, you are always so creative with your cupcakes and this one is so cute!! Have a great weekend! By the way can you come over and give me a boost? I am lacking creativity and motivation! I really need to get back into creating but since my world was turned upside down I just can't seem to get it in gear! I don't feel like doing anything!!!! Absolutely adorable....and I can't wait for the giveaway! This is perfect for Valentine's Day! 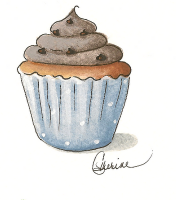 Love the new cupcake Catherine...Hope you are having a good January. Cannot believe tomorrow is the last day already. 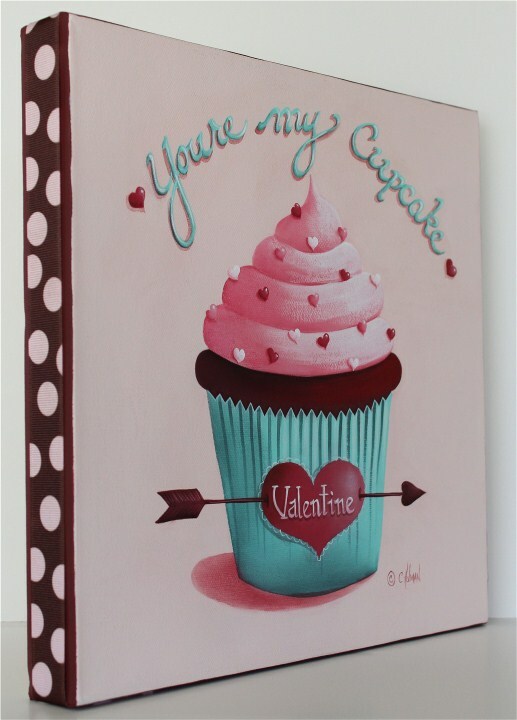 I love this sweet cupcake painting. Great colors. I love all of your art work.